Welcome to Challenge day at Calling All Sistahs. 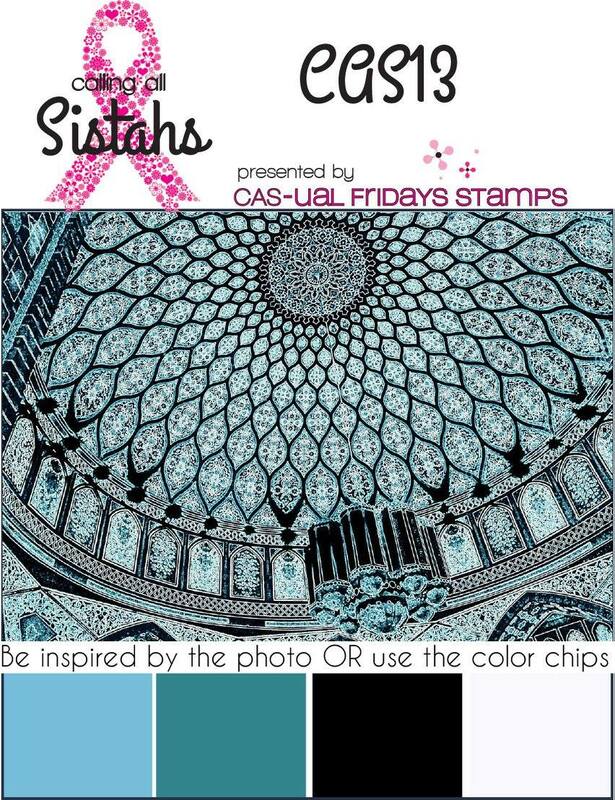 Select from the color combo or the small photo. What gets your mojo going? The new Little Birdies by Cas-ual Fridays are just a must have. 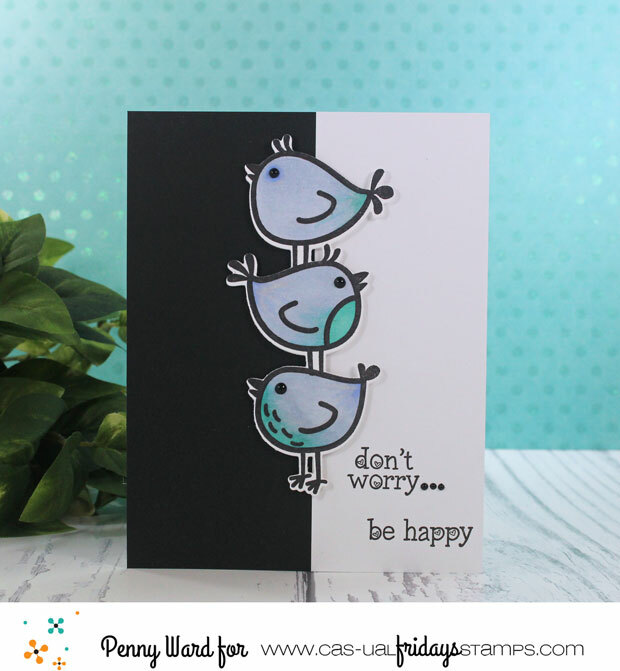 I am sure you know someone in your circle of friends that could use a pick me up card. It doesn't have to be someone that has cancer. It could be someone that simply needs a hug. Make an encouragement card and join our challenge. 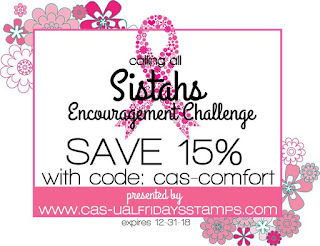 Winner for the month gets a $25 gift certificate...but if the winner used any Cas-ual Fridays stamp or die, then the amount changes to $50 gift certificate. Here is a coupon code you can use to get something fun! 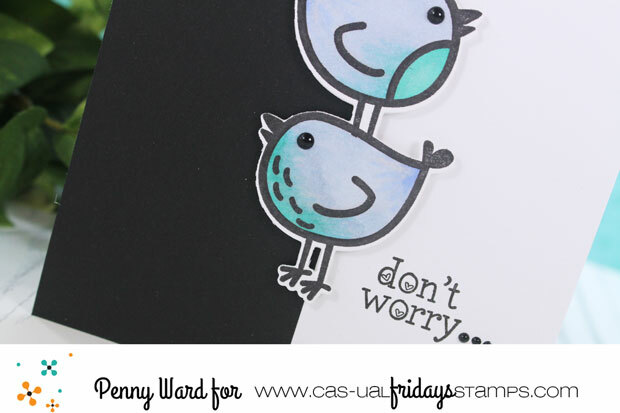 Love your sweet stacked birdies, Penny! Oh I love the way you colored those adorable birds! Great take on the inspiration photo too!